Documentation of our cultural heritage is experiencing an explosion of innovation. New tools have appeared in recent decades including laser scanning, rapid prototyping, high dynamic range spherical and infrared imagery, drone photography, augmented and virtual reality and computer rendering in multiple dimensions. These give us visualisations and data that are at once interesting, intriguing and yet sometimes deceptive. This book provides an objective and integrated approach to the subject, bringing together the techniques of conservation with management, photographic methods, various modelling techniques and the use of unmanned aerial systems. This interdisciplinary approach addresses the need for knowledge about deploying advanced digital technologies and the materials and methods for the assessment, conservation, rehabilitation and maintenance of the sustainability of existing structures and designated historic buildings. Furthermore, this book actively provides the knowhow to facilitate the creation of heritage inventories, assessing risk, and addressing the need for sustainability. In so doing it becomes more feasible to mitigate the threats from inherent and external causes, not only for the built heritage but also for moveable objects and intangible heritage that suffer abandonment and negligence as well as looting and illegal trafficking. The book is written by a team of international experts based upon their practical experience and expertise. It therefore creates a unique book that encapsulates the knowledge of this discipline required by anyone working in this field. 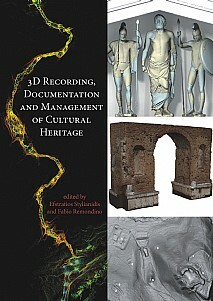 Archaeologists, conservators, museum keepers, heritage specialists, authorities, and stakeholders in general; anyone in geomatics involved with the application of such techniques to recording heritage.